Before the IPO, we said that if they’re bring it out at a $100 billion market cap and $4 billion in revenues with business slowing, there better be a bubble, because if there isn’t a bubble, there’s going to be heck pay because the stock is worth $15 – maybe. And they brought it out. It opened at the mid-40s and closed at the at IPO price and has never seen the light of day. It closed at 18.06, down a 1.03…and insiders are selling like crap out of the stock. This just goes to show you – Wall Street had a year to prepare for this. They chose greed over the investing public. They chose to try create a bubble and bury it. And guess ended up happening? They buried themselves. They’re losing their rear end. They’re being sued up their rear end. They deserved everything they got. Now, in case you don’t know, here’s my continued take. Even at today today’s close at $18.06, Facebook has a $45 billion market cap with $4 billion in revenues and a slow business. I’m not making this up. We may have seen peak numbers. And if that’s the case – this is single digits. On top of that, they unlocked the stock too early. And the amazing part is that I don’t think employees can even sell yet. These are the big boys selling. Lesson: Price counts. Valuation counts. Always remember that. And once again I have to a repeat, this is Wall Street at its worst. Wall Street at its greediest. Let’s work backwards. About 15 months ago, on my radio show I told you that I broke out a bunch of charts from the 1970s. You see in the 70s, Gold had a major, major bull market. And closer to the end of the 70s, around ’76..’77, Gold had a monumental move up. Gold went through a big bear market in the context of a big gigantic secular bull market. During that time, Gold backed and backed up for 18 months. What did that lead to? The big gigantic 2 to 3 year blow-off topic where Gold went up 4-fold in the last 7 or 8 months and doubled within a few weeks, finishing with a climatic run in January of 1980. And I simply told you that I predict nothing. And I tell you again, I predict nothing. I’m just pointing out that Gold has been mimicking 1970s until the past 3 or 4 weeks. You see in the 1970s, the bearish phase before the bull move, lasted eighteen months—and dropped a lot. This bearish phase didn’t even drop 20%. And as I told you, on the GLD which is the ETF for Gold, 148 has been holding and holding, and I posed to you and myself the question, is it possible that 148 is going to be it? And the reason why Gold didn’t go into a bear is because of the massive amounts of printing of money not only here, but in Europe. So Gold, in the past week, broke above near-term resistance, held about the 50-day moving average and we told you on the radio show that it looks to be buyable, but – a stop below recent support levels. So Gold gapped up. In the past couple days, Gold pulled make a minor pullback. We had wait for the Fed. And just yesterday on my show, I told you Gold is doing to do one thing or the other today. It did the one thing. It had a massive move the upside and so did silver on big volume. We do not know if this going to lead to a monstrous move like we saw in the late-1970s. We just hope. So here is the take, up to the second. That was a really good move today. That means now in the past couple of weeks, we’ve had two mammoth volume big move days, while on the pullbacks, volume was light – indicating that the big money crowd is in there buying this stuff up. What it leads to, I don’t know. What I do know right now is that Gold and Silver have the bid. And the suspect is higher prices in the near-term. We’ll keep evaluating as this goes along and I can only hope that this is the start of the a big, big move. And if you have a chance, go look at the GLD and SLV and you’ll see exactly what I am saying. For me, today is a confirming day of this recent move off the lows that occurred in the past week. And we all get into the whys. We know the whys. …even though Mr. Bubble did not announce anything today. He is printing still. He is at 0% rates still…and of course, much more to come. He also argued that the Fed’s moves so far to keep interest rates at record lows and encourage borrowing and spending have helped bolster the economy. Bernanke stopped short of committing the Fed to any specific move, such as another round of bond purchases to lower long-term rates. But in a speech at an annual Fed conference in Jackson Hole, Wyo., Bernanke said that even with rates at super-lows, the Fed can do more. 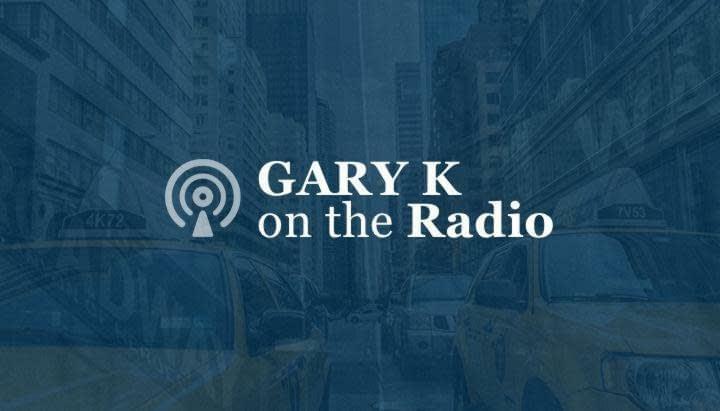 http://garykaltbaum.com/wp-content/uploads/2015/11/GaryK-RedTie-Head-Shot01.png 630 1020 aaronmat-admin http://garykaltbaum.com/wp-content/uploads/2019/01/gary-k-logo7-01.png aaronmat-admin2012-08-31 11:25:122012-08-31 11:25:12OUR BORING AVERAGE DAY! Eurozone unemployment worse than expected…Germany retail sales worse than expected…oops…Europe announces they are looking at buying up short term stuff. What happens? Euro soars…European markets up strong…we gap up almost 1%…and this all before the Fed…OR someone on crooked Wall Street found out what the fed is going to do and is frontrunning. OR…others saying that market thinks Romney has a good chance to win after last night…and the market is reacting to that. Ok…all that is noise…bottom line…markets hit resistance at the highs…have pulled back and have potentially formed cup and handles on the indices. The only thing service did yesterday was sell gold and silver. The service kept all the stocks…amzn,kors,rost,regn,tjx,tsco,wfm. We now wait for 10 am noise from Mr Bubble. No clue what he says or does…and have no clue to the reaction. Hopefully, it is a good reaction and market can break out. Will have a full report with leaders list over the holiday weekend. Enjoy the 3 days off. Citigroup is settling a lawsuit for $590 million. More than a billion dollars. This is over claims that Citigroup deceived investors by hiding the extent of its dealings in subprime debt. It is a pact with the investors. Citigroup CEO Vikram Pandit says they are settling to put the pain from the financial crisis behind them. Citigroup denied the allegation saying that the settlement is solely to eliminate the uncertainty, burden and expense of further protracted litigation and that existing legal reserves will cover the cost of the settlement. Why am I bringing this up? Because no one is going to jail. No one is even indicted. Nobody is even going to be tried. Now why do I also bring this up? Because little old me back in 2007 read to you on my radio show that Citigroup was taking bad loans off their books before earnings and putting them back on the books after earnings. I could have been sued for that. You know why I wasn’t sued? Because I was right! So somebody at Citigroup took bad loans off their books before earnings and put them back on after earnings to hide massive losses. That is the definition of felony. Fraud. Massive, over the top manipulation and not one person is being investigated, indicted, found guilty…nothing. Instead – Citigroup denies the allegation and pays the $590 million because they’re just nice people. My question: Why are the prosecutors settling? Why are they letting felonies and felons off the hook? How many times are we going to see crimes, front and center in plain sight! Lloyd Blanfein, the Goldman Sachs CEO perjured himself in front of congress. And nothing…no investigation. He’s off. Nothing. And do they wonder why everybody is running to the hills from the markets? How do we trust, when the head honcho top dog big cheeses that got away with felonies – nothing happens to them? They’re still making $20…30…50 million a year. They’re still riding in limousines and living in big houses and committing felonies. But they put Martha Stewart in jail. And by the way she was guilty and she should have gone to jail. But I’m using that as an example of what’s going on. And when you know that people from the Obama administration are now working at Citigroup and Goldman Sachs…and people from Citigroup are now working in the Obama administration – and the same thing happened in the Bush administration – therein lies the problem. Man, this whole thing irritates me. It sickens me. They’ll put the little guy away…the guy who can’t fight and doesn’t have the millions of dollars to fight. But they refuse to go after some of these bigwigs. And when the market is trading a thousand shares a day and all these companies are out of business, they wonder why everybody ran away from the markets. I don’t know what to tell each and every one of you – like I do – a level playing field. Reward success and penalize crime. Reward integrity. Penalize felony. Now here’s the good news and the epilogue to this. Citigroup is now doing the right thing. They’ve gotten back down to basics and hopefully they don’t ever repeat this again. And frankly, there’s nothing we can do about this. We’re nobodys. We’re a bunch of muppets. I will be waiting for the fed at 10 am and will see what the idiot says and if the market reacts. i would love if the market just ignores him. Crappy day but no biggie for leaders. But market seems to be turning to the defensive side here so we are on watch. THIS SHOULD HELP FACEBOOK STOCK! NEW YORK (AP) — Facebook co-founder Dustin Moskovitz is shedding another 450,000 company shares for a take of about $8.7 million. Moskovitz has been selling 150,000 shares a day and disclosing the sales every three days. Including the most recent sale, he still holds more than 130 million shares. The latest filing, made late Wednesday, covered sales from Monday to Wednesday. He sold shares at prices ranging from $19 to $19.49. http://garykaltbaum.com/wp-content/uploads/2015/11/GaryK-RedTie-Head-Shot01.png 630 1020 aaronmat-admin http://garykaltbaum.com/wp-content/uploads/2019/01/gary-k-logo7-01.png aaronmat-admin2012-08-30 13:26:142012-08-30 13:26:14THIS SHOULD HELP FACEBOOK STOCK! …but this one chart of past election years is nothing but uncanny up to now.